Get Fast Cash in Minutes with Pawn Loans in Scottsdale! When we need fast cash, it’s hard to take cash back out of the items we already paid a lot of money for. We know these items should be as good as cold, hard cash, but how are we supposed to get our money back out? The simple answer is the visit the premier pawn shop in Phoenix, Scottsdale, Tempe and Paradise Valley, North Scottsdale Loan and Guns, and get a pawn loan! How Exactly Does A Pawn Loan Work? A pawn loan is a very simple product, and works exactly the same way that a loan works on any items. It is very similar to a mortgage, or to a car loan, but does have a much shorter period to it. Pawn loans are strictly regulated by Arizona laws, and have to meet all conditions of the laws at all times. A pawn loan is written out for a default term of 90 days, wherein there’s no payment that has to be made during this period. During this period, North Scottsdale Loan and Guns will hold on to your item and keep it safe in our extremely secure safe. Once you hit the end of your 90 day term, you’re left with two options. Before I get to that, I want to expand upon how flexible we can be. We are not in the business of taking people’s items, but are in the business of lending money via pawn loans. We make it our mission to always do everything in our power to help our customers, not to profit off of them. Now, when you hit your maturity date(the final day of your 90 day term) you’re left with three choices. Either 1) you come in and simply pay off the interest due on the gun loan, and it can be rewritten for another 90 days, 2) you can come and pay the interest plus the amount that we loaned to you and take your gun back home or 3) if you’re truly in times of financial disparity, you can let the gun go and we will take it in lieu of payment. This is where we try to help, and can be extremely flexible, such as offering extensions for all of our loans, and doing everything in our power to work with you. For more information on Arizona’s pawn regulations, you can visit the list of statutes here. 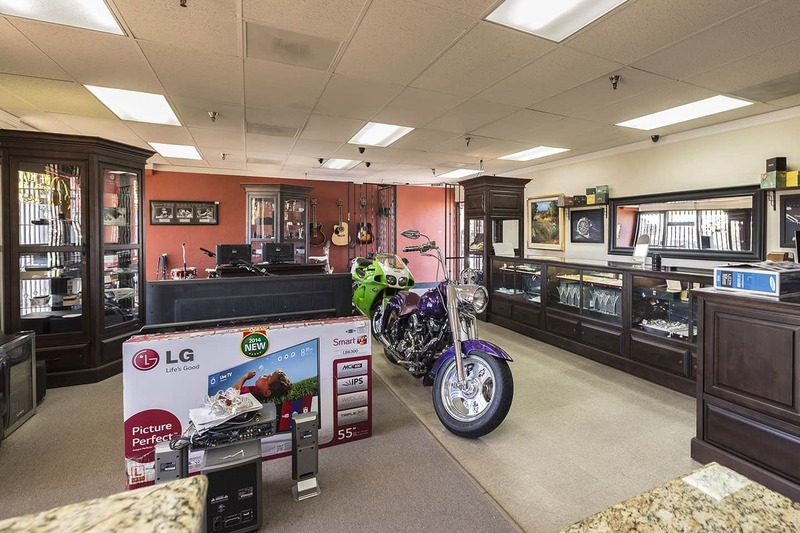 North Scottsdale Loan and Guns has been serving the proud areas of Scottsdale, Phoenix, Tempe, and Paradise Valley as the premier pawn shop, and is always doing its most to ensure its customers are getting the most cash possible for their valuable items. Serving Scottsdale, Phoenix, Tempe, Mesa and the Greater Phoenix Area With Pawn And Loans Now! Copyright © 2015 North Scottsdale Loan & Gold Company - Designed by TurkReno Incorporated. All rights reserved.